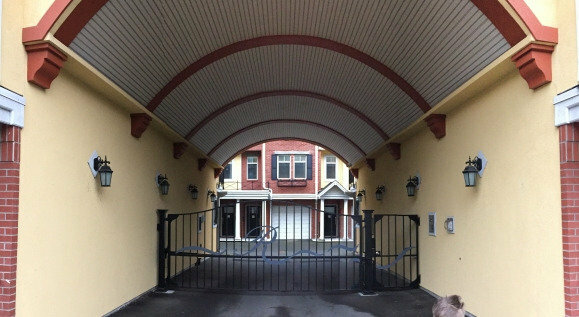 This secure, gated Euro-style building features 19 townhomes in a desirable location on the Millstream estuary near the Harbourfront Walkway. There are 2- and 3-bedroom units available, ranging in size from 1300-1800sqft. This area has a lot of development planned for the near future, which makes sense because it's right on the edge of downtown and is not currently at its best and highest use. Please contact me if you'd like to be informed when a listing becomes available at Rimini.